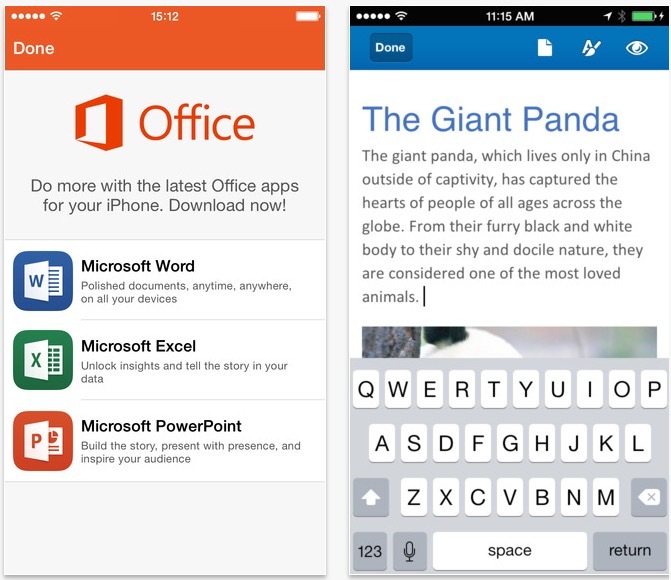 I just downloaded the Microsoft Office suite on my iPhone 5s for free, before you needed an subscription of Office 365 to edit docs and store them on cloud. With this move Microsoft has made the prior strategic partnership with Dropbox justified as now you can use space from Dropbox and save Office docs like Word, Excel and Powerpoint on your hand-held devices. This free app is available on iOS and Android Devices. But, people that have a business subscription of Office 365 will not get this app for free. They will be continued to pay for their business productivity suite and cloud platform as OneDrive. It actually makes sense as you have tons of options which are free that allows you to edit and create WORD files on mobile devices. So, its a more logical to make it free, otherwise the user base could have been damaged even more after free applications are running over software giants. Anyways a great way to start November 2014 with free Office on your mobiles. Cheers ..!! And yes for people looking to download, here the direct links.